The World Trade Organization's (WTO) Ninth Ministerial Conference (MC9) is being held in Bali, Indonesia from 3-6 December 2013. A successful outcome of the upcoming Conference is deemed crucially important for the future of the multilateral trading system, given the impasse in the Doha Round of negotiations. A multilateral Trade Facilitation Agreement is under negotiations, and – if agreed – could offer tangible benefits to small businesses in developing countries. Other issues on the agenda relate to agricultural production and food security as well as the recognition of special needs of least developed countries (LDCs). The International Trade Centre (ITC) hosted a side event at MC9 in Bali dedicated to efforts that would enable developing countries to take advantage of any agreement on trade facilitation. The panel of experts from the public and private sectors was moderated by Ms Arancha González, Executive Director, ITC. ITC is one of the official partners of the Bali Business Forum, which is being jointly convened by the International Chamber of Commerce (ICC), The Evian Group@IMD (TEG) and the International Centre for Trade and Sustainable Development (ICTSD) at MC9. The one-day forum provided the business community the opportunity to discuss the most critical issues in the global trade agenda with public-sector leaders and academics. 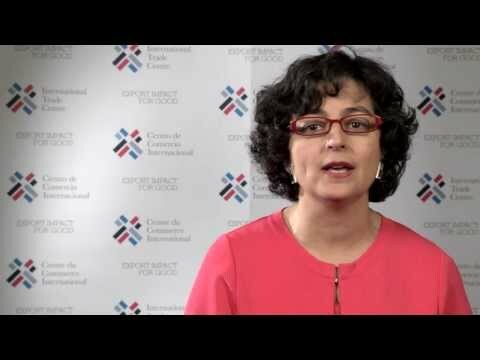 Ms Arancha González, Executive Director, ITC, was a panelist in Session 4, ‘The role of the private sector in the WTO and the new issues for the multilateral trading system’.